The Vulture story mentions their sub-store at Club Monaco. This Publishing Perspectives story describes the setup. They also maintain a kiosk on Fifth Avenue just above 60th Street. Their YouTube channel has videos of many of the events they host. 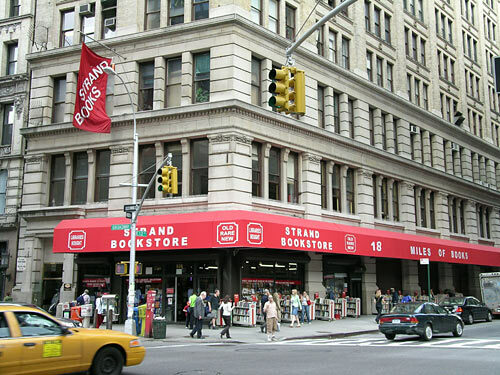 Some might have thought that the name was copied from The Strand magazine, a successful British publication from 1891-1950, which lodges in the memory primarily as the outlet for many Sherlock Holmes stories. It is now back in business as a mystery magazine. Good old reliable Watson, game-show and chess wiz, and recently reported as helping out in the kitchen, is now coming to the rescue of all those tone-deaf writers. Just run your memo through this little app and see how it scores on Clearness, Agreeableness and Conscientiousness. It’s a small and halting first step perhaps. You may think it a bit naïve. After all who’d think “in due time” was a reasonable synonym for “soon” — but that’s not really the point. 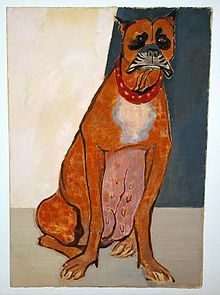 Like the dog walking on his hind legs: it’s that he does it at all, not that he does it well. The analysis behind this little gif makes one think of what else can be achieved. I like its prospects not so much for the writers, but for the readers. You can perhaps see the beginnings of critical reading by computers in this sort of thing. Sure it’ll need to be better: but as we know about computer development, better is one of the things it will get. There’s a testbed at the IBM site. Just paste your text into a box, click the button and presto, it’s done. I just analyzed the preceding paragraph and am proud to report that it scores 86 for Openness, 48 for Conscientiousness, 41 for Agreeableness, 13 for Analytical, 6 for Tentative (must stop saying perhaps), 5 for Cheerfulness, 3 for Confident, and 1 each for Negative and Anger. It’s hard to make out where the Anger resides: I think it may be in the word critical — which hints at an IBM attitude towards critical reading — it’s not all bad guys! Overall I score 3% for Emotional Tone, 85% for Social Tone, and 10% for Writing Tone. (Got to be some rounding up/down going on.) I guess that’s sort of what I would be aming for, if I was aiming. Thanks to The Digital Reader for the link. Are things really this bad? I’ve got no reason to disbelieve Hugh McGuire, author of this Medium piece, but I’m thinking his problem isn’t really a failure to be able to concentrate, but just being too busy: multi-tasking himself into an inability to stick with something as long as a book — because he’s got too many other things needing doing. At different times of your life you will have more or less time available for reading. For instance, when you have a young family most of your time is taken up with child care, which can be called for in the middle of the darkest and stormiest night. Fewer books get read. Your brain doesn’t atrophy, and your basic ability to read Middlemarch doesn’t waste away. You are just doing other things. When you do get the time again, you’ll be just as capable of sustained reading as you were before. The real problem is allowing yourself to get into the habit of just sitting there staring at television (remember how a few years ago that was the problem) or deciding to spend all your life on Facebook. But these are decisions: not effects of brain evolution. Attacking from another flank Nikkitha Bakshani at The Morning News tells us of binge reading disorder. (Link via Ink, Bits, & Pixels.) I remain skeptical about all this digital brain change stuff. Different types of reading will call (always have called) for different techniques. If you are reading a newspaper, an advertisement, an e-mail, you are likely to be going a bit faster than when you read a poem by Emily Dickinson. So? Does the fact that there’s now so much more ephemera on the Internet while Emily Dickinson’s corpus has increased only infinitesimally, mean that reading has changed? Of course not: when you read the poem you still read it with the attention you always gave it — and I’m quite willing to agree that there are and always were lots of people who wouldn’t, couldn’t read a Dickinson poem in the most thorough way. But that effect has absolutely nothing (well nothing directly causative) to do with whether they spend hours on Twitter and Facebook. Don’t reach for a physiological excuse. Your brain hasn’t changed: your willingness to put in the effort has. And maybe that’s just fine too. There’s no God-given law saying you have to read books. If you want to do it you will. If you don’t have time for it: you don’t. Feelings of guilt will not help you find the time. But despair not: when you decide to do it your brain will still be quite capable of the effort required. The full sheet was the broadside, fold it once and you have a folio, twice and it’s a quarto, and again and it’s an octavo. Well, we apparently now have a word for what must obviously be a concept: advertising by putting a tattoo onto an exhibitionistic person. According to The Verge‘s sarcastic story Hachette Australia is advertising for a young lady willing to have a book ad tattooed on her back. Here’s The Guardian story which reassuringly tells us that Hachette have changed their corporate mind. According to Verge this is all a bit passé anyway — the age of advertising via tattoo was apparently the first decade of this century. There was even an ad agency called TatAd.com. How did I fail to notice? Tattoos inspired by books are everywhere it seems (luckily nobody has insisted I look at their’s) — BuzzFeed, inevitably, shows us a gallery of fifty. To my generation tattoos were something sailors got when they were too drunk to realize what was up. Clearly there’s been a generational adjustment. To me, seeing a book advertised on someone’s back would make me not want to buy it! Just to get it out of the way first: I am not referring to a “monotype”, a unique print made from a plate onto which an image is painted, paper being squeezed directly against it to transfer the image, usually in a printing press. The printing of that first impression tends to remove almost all of the ink, but inferior second (and even beyond) prints, often called ghost prints can be made. Monotyping was invented in the 1640s by Giovanni Benedetto Castiglione, an Italian painter and etcher. I’m talking about the Monotype typesetting machine patented by Tolbert Lanston in 1885. Lanston was born in Troy, Ohio, and worked initially at the government pensions office developing an adding machine. His brother was a printer, and this connection sparked Lanston’s insight into the potential gain from automating the hand-setting process. Unlike Linotype which sets a complete line at a time, Monotype makes type in individual characters of varying width. 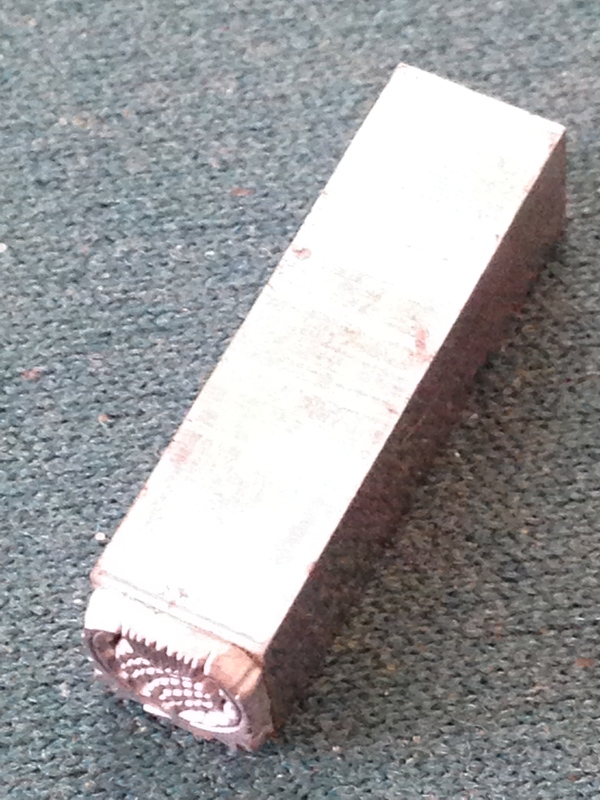 A Monotype system comprises a keyboard and a casting machine which includes a mould carrying a matrix case. The keyboard operator types out the text creating a punched paper tape perforated to indicate characters and spacing, which is calculated automatically as the line is filled. The completed ribbon is moved to the caster, which “reads” the perforations and casts the individual characters and spaces one after the other, line by line. 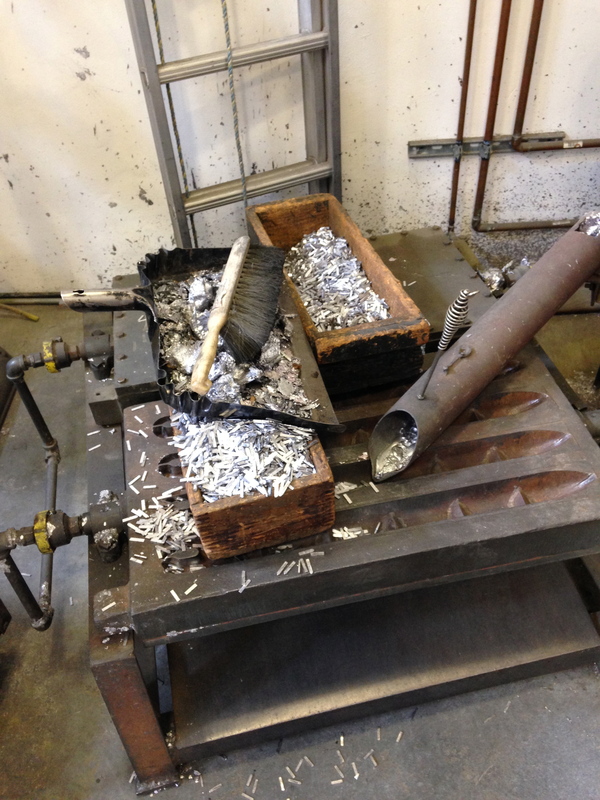 The lines are collected on a metal tray called a galley, which when full is removed and proofed. Hence “galley proof”. The idea of a punched card, which we tend to associate with the early computer industry, dates in fact from about 1825 when it was first used to control looms, getting a final improvement around 1800 in the Jacquard loom. The Monotype keyboard is laid out in QWERTY configuration like a typewriter or computer keyboard. Linotype keyboards had the ETAOIN SHRDLU layout, which is based on grouping the most frequently used characters together. I wonder if French or German Linotypes had their own keyboard arrangement based on different character frequency: probably. Monotype is more versatile than Linotype and thus better suited to complex setting such as mathematical equations and chemical formulae. Special symbols are easily incorporated into the matrix cases that held the type fonts. However it is slower and thus more expensive than Linotype, and thus lost out in the mass market. Monotype was more successful in Britain than in America, and was always attentive to its “fine printing” potential. They always had a typographic advisor on staff: notably Stanley Morison, designer of Times Roman. Monotype operations still survive, but mainly serving the de luxe book market. 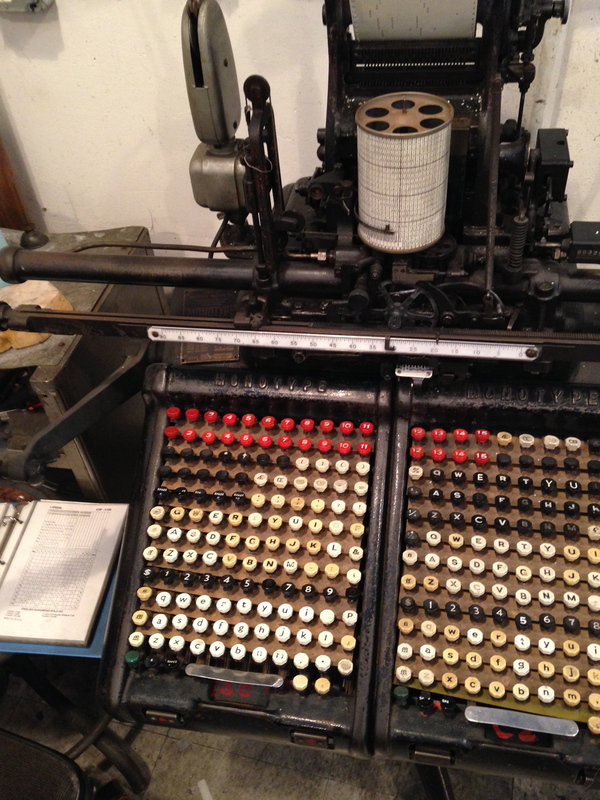 It’s more work-a-day competitor the Linotype has to all intents and purposes disappeared. 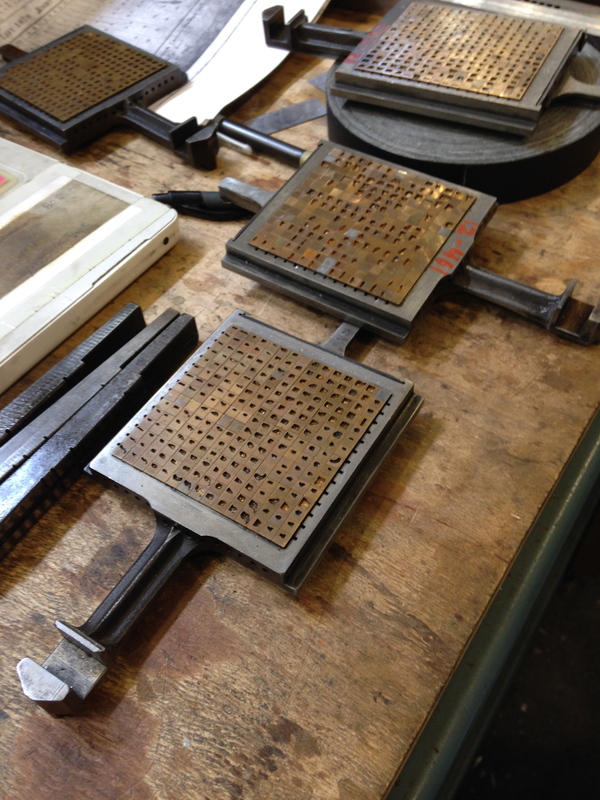 Here’s a bit more about Monotype from the website Garamond, and even more from British Letterpress. 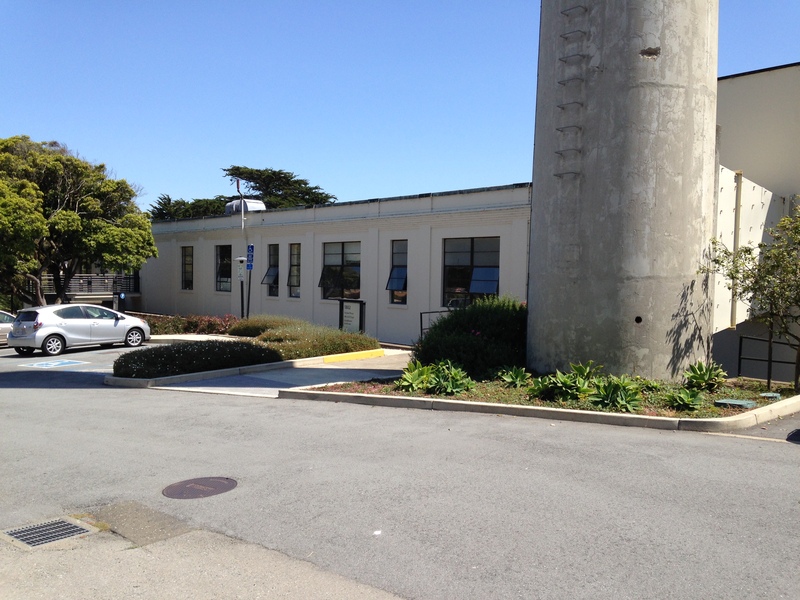 The photos below were taken last month at M & H (Mackenzie & Harris), now owned by, and occupying the same premises as Arion Press in the Presidio in San Francisco. 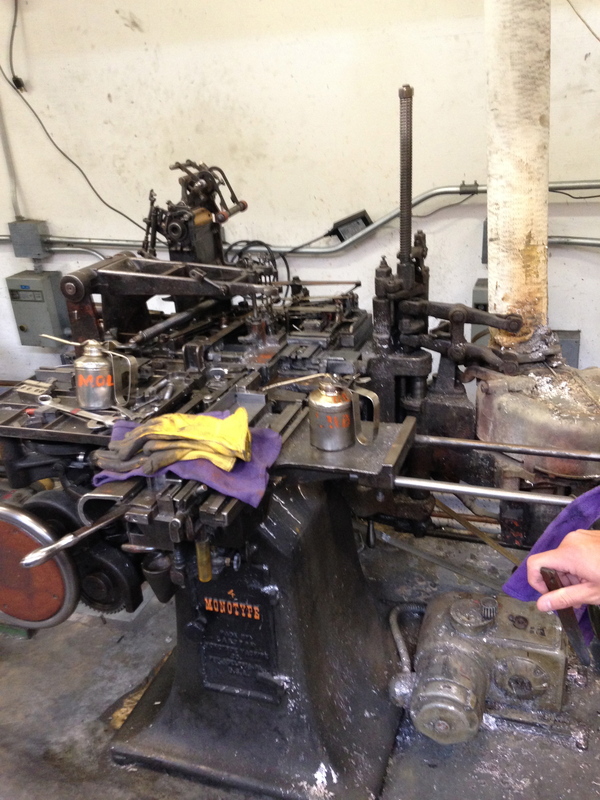 M & H is the last remaining type foundry in USA, casting many fonts in many different typefaces which are supplied to printers around the world. This is how things operated for much of the history of print: most printers would not cast their own type: that was the job of a type foundry. The tour Arion/M & H offer on Thursdays is well worth going to. I have posted about it before with a video here. It’s so silly that many (mostly university) presses persist in describing a hardback edition as “cloth”. While many university presses do, it’s true, continue to spend money using cloth, most books nowadays have given up using cloth, opting instead for the much cheaper paper-based alternatives. I remember when Britain joined the Common Market, the regs of the market jeopardized our ice-cream market. Apparently EU trade description rules require that if it’s called ice cream, it actually has to have cream or at least milk in it. Walls ice cream faced to terrifying prospect of having to relabel its product as “edible vegetable-oil ice”. They opted wisely to add milk to the mix. One of the silliest practices seems to me to be the use of paper for the spine of a three-piece binding. The whole point of a three-piece binding is to provide the strength of cloth on the spine without spending the money on the sides, where you can save money by using paper. Paying for the extra set-up cost for three-piece binding without getting the intended strength benefit just seems irresponsible. I am told we do it because “the market” expects a trade book to look like that. I would be interested to meet anyone who has refused to buy a book because it came in a conventional one-piece binding. Book cloth, as its name implies is a woven material. Look closely and you’ll see the warp and the weft. 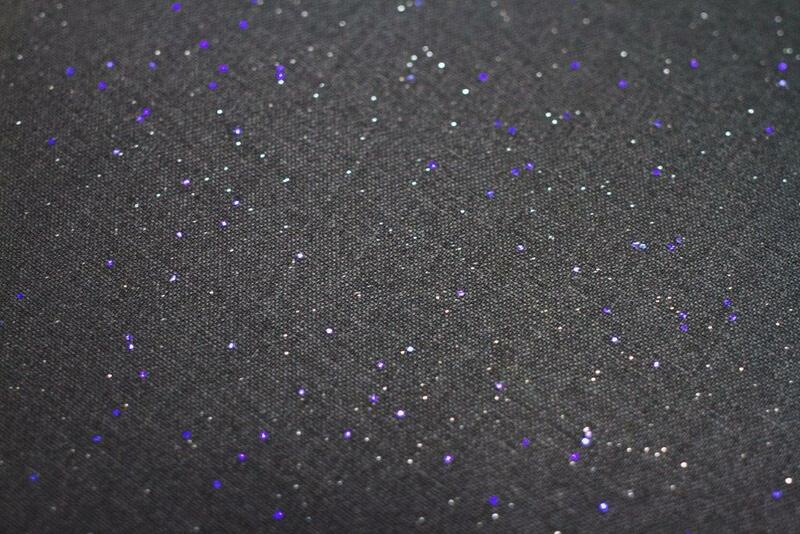 This new book cloth, Chimera, incorporates a glittery yarn. Holliston is the one remaining large manufacturer of book cloth in the USA. They offer high-quality cloths, Arrestox, Roxite and buckrams as well as Kennet, a “natural” cloth. They used to make a cheaper cloth, Devon, but this has fallen by the wayside, no doubt because of the penny-pinching craze to use paper-based products instead. Natural cloths have a raised fiber finish, making them look a bit like the cloth of a pair of trousers. Arrestox and Roxite have a tighter weave and a smooth coating which protects them from wear and tear. The strongest book cloths, buckrams, are made with linen rather than cotton, and have a similar coating finish. Buckrams are much favored in library re-binding, one-off repair binding where the materials cost perhaps takes up a smaller proportion of the whole cost. Is cloth making a little resurgence? We’ve lived through twenty or thirty years of product down-spec-ing, and now we are beginning to see the printed book as developing a sort of de-luxe aura. Imported cloths, like Brillianta and Iris came into the US market a few years back. Brillianta, from Germany where book production values are still valued, is a higher quality natural finish cloth. You’ll see it on the Library of America volumes. The remaining manufacturers of book cloths can perhaps look forward to a continuing market for their products, although it will be altogether smaller than it was say 50 years ago when the idea of binding a hardback in any material other than full cloth was just being thought of. 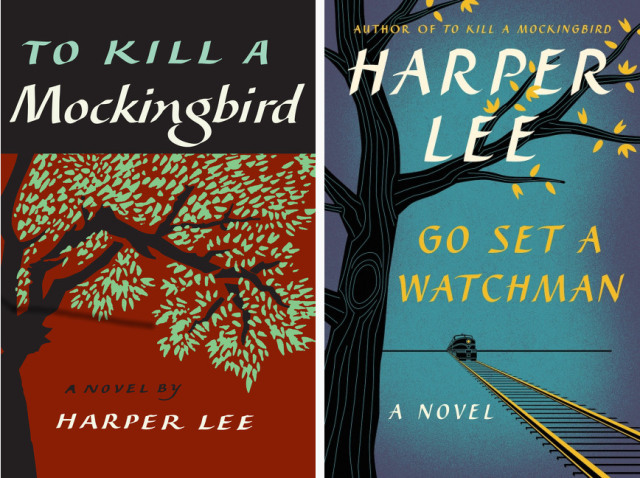 I don’t plan to be one of those rushing out to buy Harper Lee’s latest. To me the most interesting thing about it is the continued assertion that HarperCollins printed two million copies. I just don’t believe they’d do that. Of course you don’t want to be caught short. However, as Vulture reports, the book sold 1,100,000 in the first week which is pretty impressive. Still, 900,000 in the warehouse is generous cover surely, but maybe these book do actually exist. Printers are of course sworn to secrecy. Quartz acts all surprised that there are similarities between the book and To Kill a Mockingbird. Was anyone really under the impression that this “new” book was anything other than a first draft of To Kill a Mockingbird? The account of its discovery was fairly explicit: the original book was rejected and the editor suggested a sort of prequel might be mined from it. Ms Lee did this, and then assumed the original ms was lost. It wasn’t — recent discovery doesn’t however make it anything other than what it was: the mine from which so many people’s favorite was excavated. Another oddment is the way people seem to feel let down by the fact that Atticus Finch appears in the new book as a bit of a racist. Do you really want to suggest that naming your son Atticus has turned into a gigantic error because of this new book? It’s fiction, guys! I know lots of people relate to the book because it was the one thing they managed to read in school (apart from Catcher in the Rye) but really? In any case, as Jezebel, among many others, points out that’s not really news. Cynics will doubt that we are all due to be subjected in a year or two to another dose of Harper-Lee-iana. Later: apparently there are 3.3 million copies in print according to Publishers Lunch. Joe Esposito seems to be keen to see things ramp up to the vast scale that the Internet can provide. His piece at The Scholarly Kitchen suggests that reading machines may be the way we can cope. However don’t the facts that he adduces about our limited reading abilities (in terms of volume) suggest rather that the Internet is an irrelevant comparison. Yes, there’s lots of stuff there, but no, I can’t find the time (or be bothered) to try to find much of it. If I do ever want to make an exhaustive search some data-mining auto-reader will be a god-send. But if people need 100 books a year to read, or whatever their number is, then the delivery mechanism best suited to that need may well be the old, cumbersome printed-book-route. Even if we are all dragooned into speed-reading course, we are never going to be able to keep up with the flood. The reason Pearson is small compared to Apple is because book publishing is a relatively small-scale business, not that Pearson has failed to find the way to attract a mass audience to the delights of advanced nuclear physics. Some things that used to be thought of as “publishing” are now thoroughly adapted to the Internet. Dictionary look up (though people do of course still look things up in a book) must attract large numbers of hits every day. Similarly those tomb-stone-like phone books (always a standby illustration of the strength of perfect binding) no longer exist — their function having been usurped by on-line look up. The somewhat sickening Internet Live Stats site doesn’t cover such mundane media. My point — obviously — is that some things are suited to the Internet and some are not. For book publishers to sit around pondering how to get YouTube-like stats is just another displacement activity to fill a profitless day. The Digital Reader provides instructions on how to remove DRM from you Kindle, Kobo and Nook e-books. This might not seem all that vital to the non-internet-freedom crowd, but as IB&P points out it will become more important if one of these services decides to go out of business.